The Clean Water Act of 1977 is an amendment to the Federal Water Pollution Control Act of 1972, which set the basic structure for regulating discharges of pollutants to waters of the United States. The law gave EPA the authority to set the standards on an industry basis (technology-based) and continued the requirements to set water quality standards for all contaminants in surface waters. The CWA makes it illegal for any person to discharge any pollutant from a point source into the storm drains or local creeks, unless a permit is obtained under the Act. The Clean Water Act does have teeth and makes the way for government to fine both the owner and operator of where the grey water was produced and discharged. We at the Crystal Cleaning Company do not transport any Class II Hazardous Materials for discharge or any “Grey Water” from the work site. We always have a custom made filter on site for your review. This filter also has a 220 volt ozone generator to kill any bacteria from the cleaning process. ( NO other company in N. California has installed an ozone generator to their filtration units as of 5/14/07). 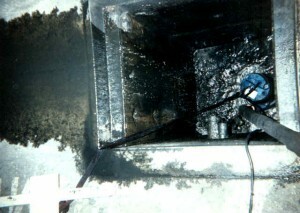 The “Grey Water” is filtered and then discarded in the local Sanitation Pipe Line. Though we have the means and the technology, we do not recycle any grey water to be reused in the cleaning process. Because of this standard, the water can emulsify with the containments of the cleaning insuring a better removal of the foreign material, less liability for you, and no red tape from the EPA.